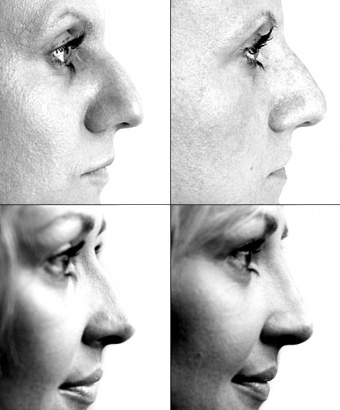 Would You Get a “No Knife” Nose Job? The procedure, pioneered by one Dr. Milojevic, is gaining momentum as word spreads. “In the last two to three years — since I really perfected my technique — it has become increasingly popular,” the London based doctor says. This entry was posted in Uncategorized on August 15, 2013 by Sherry Smith. At Skin Technology, we are in the business of making you look your best year round. We offer a variety of procedures for individuals, but we serve our patient’s best interests first. Keeping that philosophy in mind, below are a list of procedures that we suggest you AVOID booking during the summer months. Leg Vein Treatments: The risk of increased vein damage can occur when you combine sun exposure with leg vein treatments. In addition, the required post treatment compression garments can be uncomfortable to wear in very hot weather. Laser Hair Removal (not offered at our facility): Of course smooth legs and skin would be fantastic for the summer, but with the time required between appointments for re-growth, laser hair removal can be difficult cosmetically in the summer when short skirts and dresses are the outfit of choice. We suggest that you keep to your traditional hair removal routine and save laser hair for the winter months. Skin Technology strives to give you the best advice and treatment options for protecting your skin in the long run. In our next blog post, we will discuss treatments that are safe for the summer months and beyond. This entry was posted in Skin Care and tagged aesthetician, beautiful, benefit, laser on August 4, 2013 by Sherry Smith. According to the BotoxCosmetic® website, close to 12 million people have had Botox® treatments since its release in the United States in 2002. Botox® has become standard treatment for forehead wrinkles and is the centerpiece of virtually every aesthetic practice’s cosmetic offering. An interesting phenomenon accompanies aging where Botox® alone becomes less effective in reducing wrinkles and lines and frequently leads to a lowered brow position. Many feel they have become “immune” to Botox. ® They attribute brow lowering to their body “fighting” the cumulative effects of Botox® as it tries to elevate the brows. Atrophy of facial bones and fat typically begins at age thirty. As the aging process progresses, atrophy of the frontal (forehead) bone is evident as there is less antigravity support for the forehead. The body responds with more forehead muscle activity to lift the falling forehead. This, along with thinning of the skin, results in more visible forehead wrinkles. Using more Botox® initially may be effective; however, wrinkles caused by increased muscle activity are critical to maintaining brow position. Therefore Botox® actually leads to a lowered or aged brow position. The correct way of treating the aging process and forehead wrinkles is to treat the cause—forehead atrophy. Fillers work well but do not slow the aging process and can be expensive due to the large area of the forehead. Fat grafting works; the stems cells in body fat slow the aging process, but the procedure is quite technique dependent. Today, another alternative is available. Ulthera ®has been used successfully to elevate the brow position by tightening the forehead skin and muscle. It also increases the collagen content of the skin improving elasticity and reducing wrinkles during animation. Using Botox® between the eyebrows and for crow’s feet releases these muscles resulting in additional brow elevation. This combination approach has given patients a dynamic duo that treats both the symptom and the cause of aging in the upper third of the face, cost effectively and with no downtime. This entry was posted in non-surgical face lift and tagged artefil, beautiful, collagen, fillers, juvederm, plasticsurgery, skin, ulthera, wrinkles, younger on August 4, 2013 by Sherry Smith.